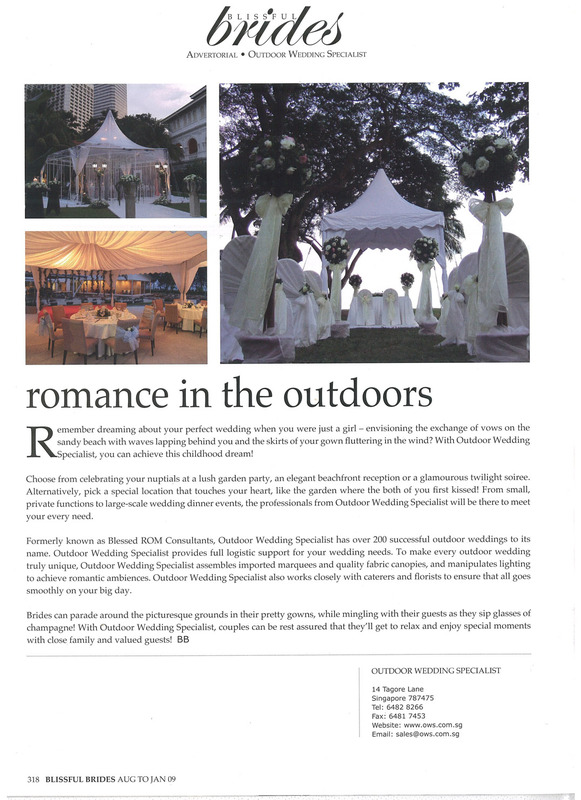 When it made its debut in Bugis Green in 2006, little did we expect that the Blissful Outdoor Wedding Show, or BOWS, would grow to the magnitude it has today. 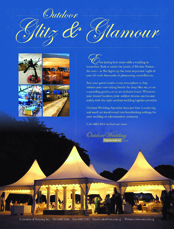 Outdoor Glitz & GlamourEverlasting love starts with a wedding to remember. 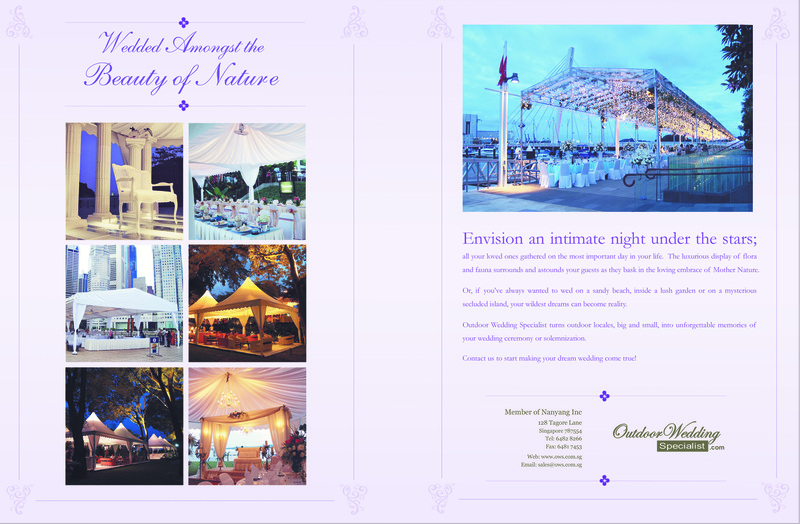 Bask in under the jewels of Mother Nature – the stars – as She lights up the most important day of your life with thousands of glimmering constellations. Look at how the outdoor wedding specialist professionals spruce up a vintage wedding with lots of red, pink, gold and romance! 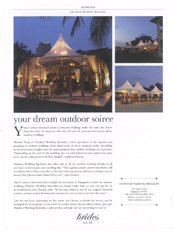 Have your dream outdoor soiree! 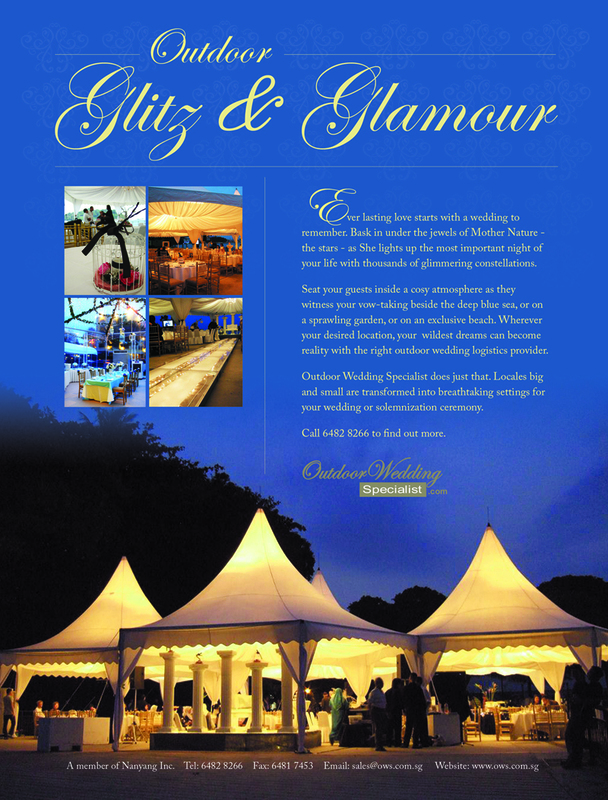 You’ve decided that ballrooms and restaurants are not for you, and you’ve always dreamed of a romantic wedding under the stars – but you’ve had your share of naysayers who have all sorts of preconceived notions about outdoor weddings. 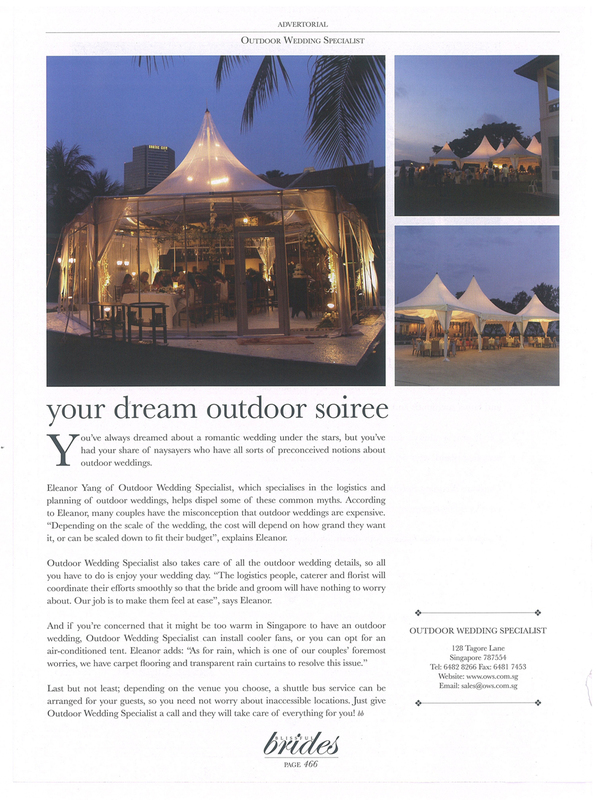 With input from Eleanor Yang from Outdoor Wedding Specialist, we help dispel those myths.